This is an important decision that you need to make when choosing your new pc, not only for your operating system, but also for your DAW software. 32 bit systems are limited to 4gb of memory in theory (in reality its between 3-3.5gb that windows can actually use). While this might sound a lot, every time you open up a plugin or virtual instrument, it uses memory. 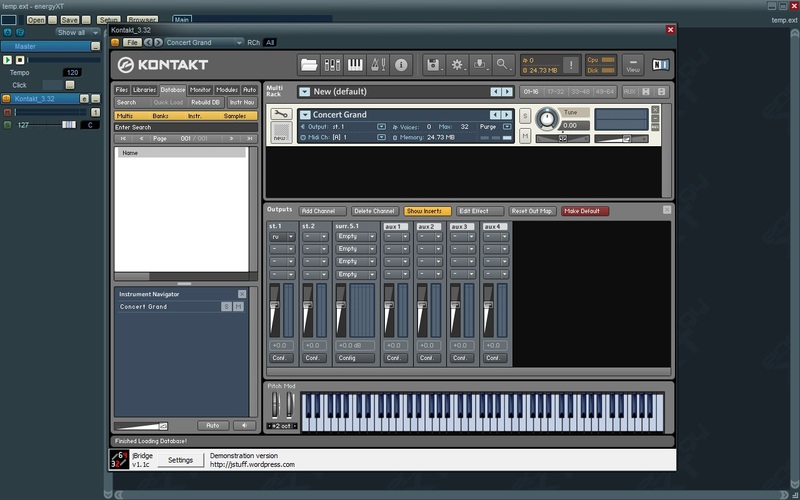 When you start looking at sample based instruments, such as orchestral libraries these can easily load gigs of sounds into memory. 64 Bit systems can run 32 bit programs, but each application can only use 4gb of memory. This is currently a popular choice, as most DAW’s come with 32 and 64 bit versions that can be installed at the same time. 64 Bit Sequencers cannot use 32 bit plugins or instruments. Whilst many manufacturers are now producing 64bit versions of thier plugins and instruments, if you do switch to a 64 bit DAW, you will probably be left with plugins that you cannot use. Many DAW’s, such as Steinberg Cubase 6 have built in “bridges” that try to make them work, but they only seem to work for some plugins. Cubase’s bridge mode also limits you to 4gb of memory for all of the bridged plugins. Jbridge is about 95% compatible, and has a number of options to get problems plugins to work. Jbridge lets you use 4gb of memory per plugin. The second issue is that rewire will not work in 64 bit daw’s. “Rewire” channels are virtual midi and audio connections to and from your daw to (predominantly) Propellerhead Reason or Ableton Live programs. This provides one stereo and six mono audio channels into your DAW (plus midi control). Whilst this is no way near the 64 possible connections that rewire normally offers, it does mean that you can run a handful of reason or ableton instruments alongside your 64bit DAW.